Over the last few years, we’ve accumulated a sizable collection of clothing and gear. 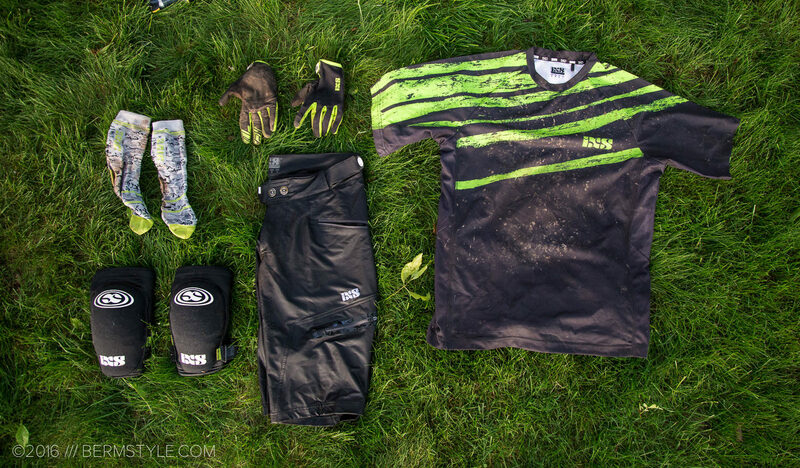 Our go-to gear often consists of the newest additions, so when an item consistently is pulled for the days ride, or is worn a second time though its already soiled, its says a lot. 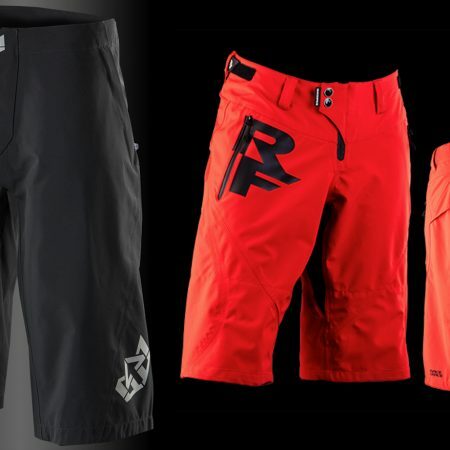 The Sever BC shorts is one of these pieces of gear. These shorts get packed in my gear bag on every trip due to their versatility, fit and function. 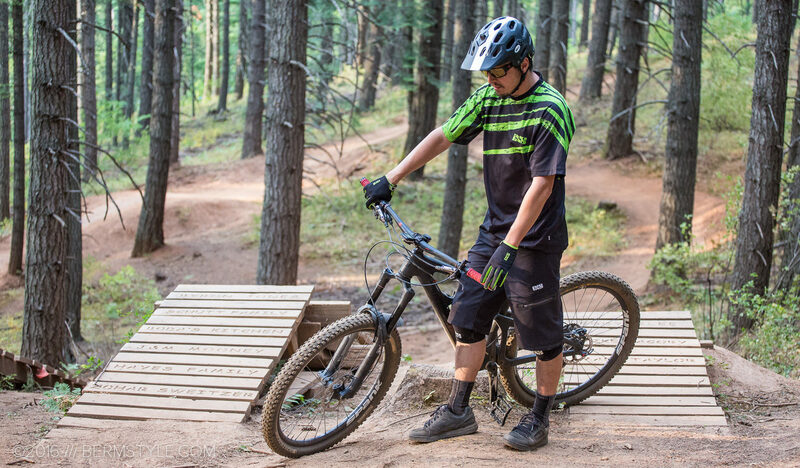 The IXS Sever shorts feature a “regular” fit and inseam that not only plays well with pads, but should accommodate a wide range body types. 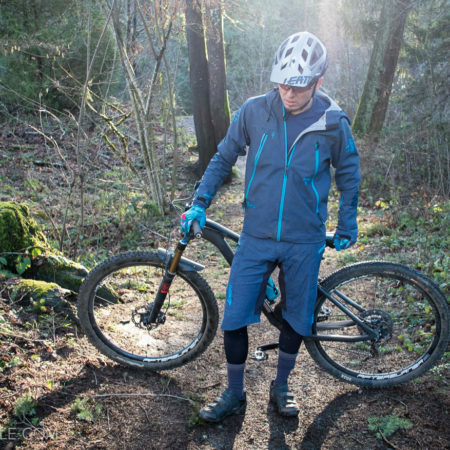 Though I prefer shorts with slightly more tailored fit for lifestyle and all around use, I found the fit of the Sever to be spot on for a wide range of MTB applications. A slight taper to the legs and well cut profile offering a full range of mobility while pairing perfectly with the IXS Flow Pads. The Sever features dual snaps and velcro for security. A view of the waist adjustments, perforations for temperature control and zipper garage details. 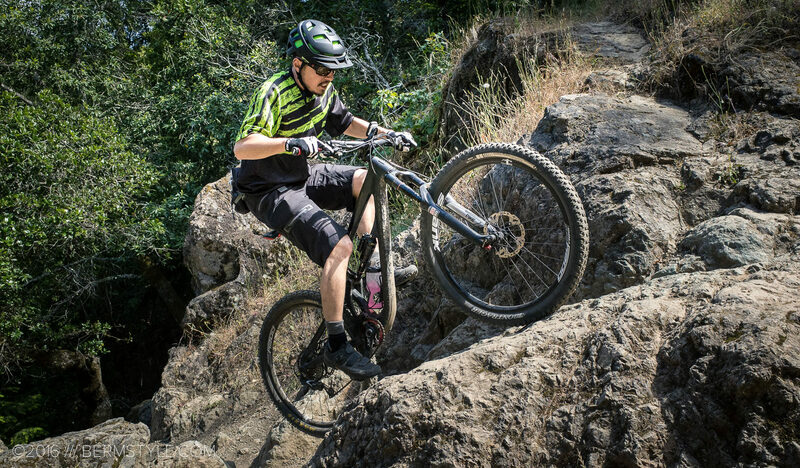 I’ve worn the Sever on everything from long, multi-surface urban rides on my hardtail to laps in the bike park. Although our preference is for matching kits, our go-to color choice of black allows pairing it with a variety of tops. 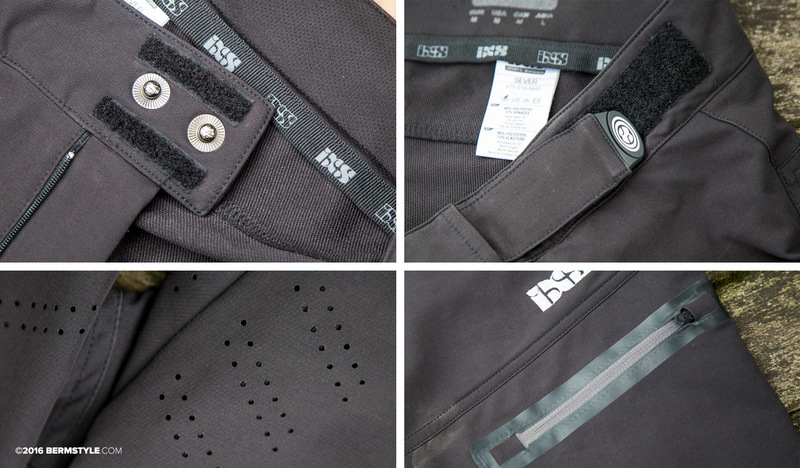 (plus I only have the one IXS jersey at present time) The adjustable waist tabs do a fine job of fine tuning fit at the waist, with the shorts staying put regardless of the terrain. I’m a huge fan of the zippered pockets, and the peace of mind that comes with the additional security. The near horizontal angle of the pocket facilitates access and usability. My only nag is the placement of the two lower pockets. As they’re located on the top of the thigh, they don’t carry weight well while riding. 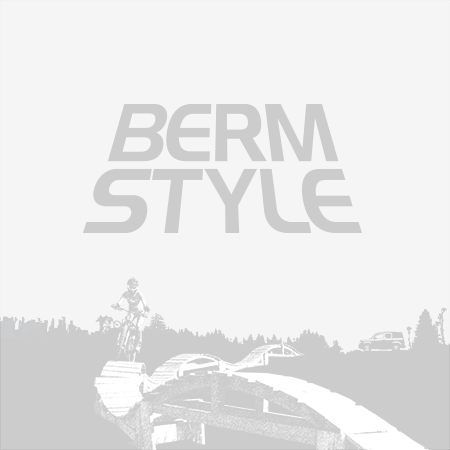 I’ve limited use of the lower pockets to lightweight items like eye drops or sunglass bags while riding, or stashing gloves during breaks on the chairlift. Technical moves aren’t a problem wearing the Sever shorts. The weight of the fabric lies somewhere in the lighter end of the spectrum, comparable to the Troy Lee Skyline. I’ve worn them in a wide range of temperatures, and tend to swap them out for a lighter weight short for high mileage trail rides on extremely warm days. Best for all around trail riding and all mountain adventures, they’re a bit light for regular DH/FR use, but have held up well against scuffs after a few get-offs and tumbles. 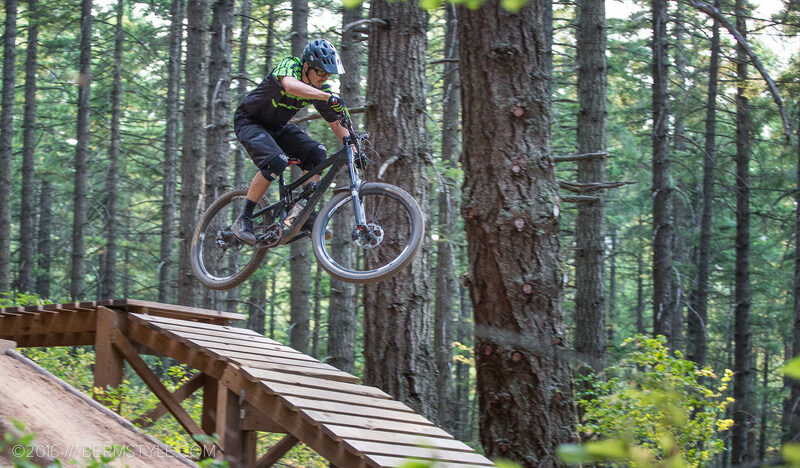 I’m a bit concerned to see they aren’t listed on the IXS sports website, (update: never mind, found them) but you can still order a pair directly from the US distributor, the Gravity Cartel. Even better, the 2015 model is currently discounted at $55.00, so I’d recommend grabbing a pair while stock lasts. When I picked up the Smith Forefront helmet, I had to track down a matching top, and the Evus BC Jersey more than fits the bill. The Evus BC jersey is constructed of 100% polyester. 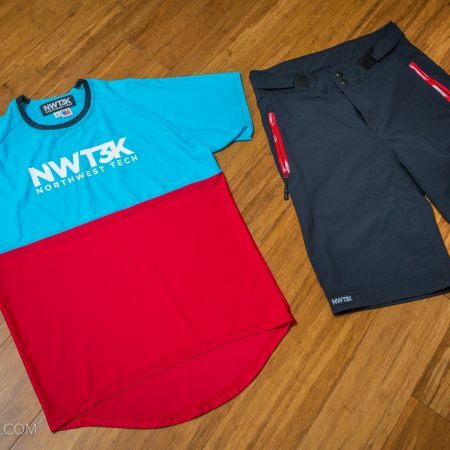 The synthetic performance material performs as expected, wicking sweat and drying quickly. There’s an integrated lens wipe for quick access to a microfiber cloth, as well as an MP3 zip pocket. Lens wipes are always appreciated, but I never found myself using the MP3 pocket; its side placement didn’t lend itself well to storing energy food either, as weight in the pocket doesn’t allow the jersey to drape evenly. 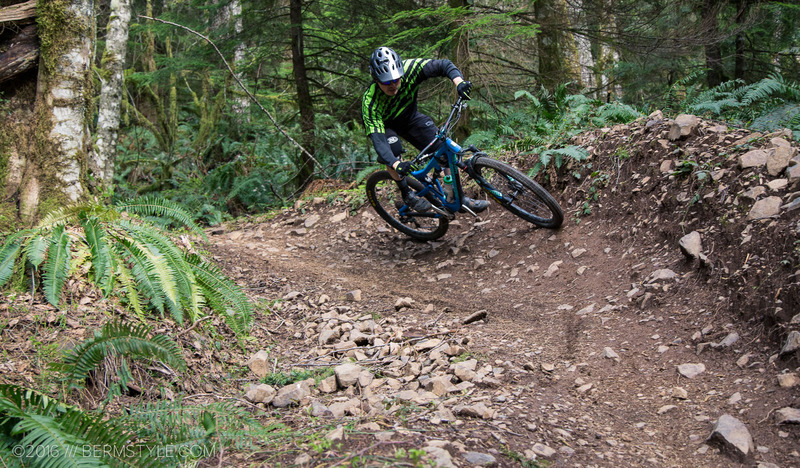 Enscounced in IXS gear at the Sandy Ridge Trail. 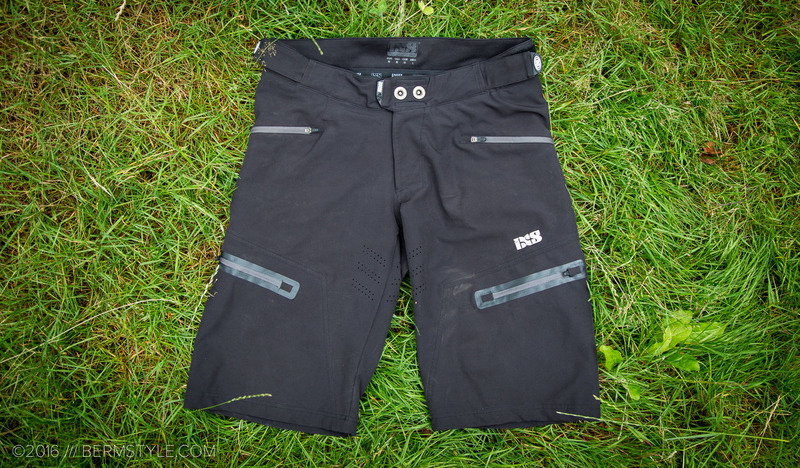 I generally prefer a slightly more fitted top, (without being a roadie or XC cut at least) but the IXS regular fit allowed for a full range of movement and was comfortable without being too blocky or baggy. It also worked well during the colder parts of the year paired with short and long sleeve base layers. With 39″ shoulders, I fall between sizes in most brands, often finding myself swimming in medium tops while being constricted in smalls. While the performance of the materials used are comparable with other popular sublimation riding jerseys on the market, I felt the fit of the IXS Evus jersey was a notch above other tops in the category. Warming up on Family Man at Post Canyon.